The MetroWest Corporate Sponsorship Program was established in 2010. These corporate partnerships were established to increase the visibility of both the Chamber and the sponsors and to foster a stronger business climate in the communities we serve. Businesses can choose from several levels of sponsorship: Platinum, Gold, Silver, Bronze and Community Builder. The Platinum, Gold and Silver levels are customized to fit the needs of businesses with a large employee base while the Community Builder sponsorship provides a mechanism for smaller businesses to receive the additional benefits of a corporate sponsorship. 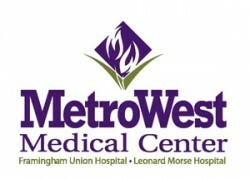 MetroWest Medical Center is committed to meeting the health care needs of the MetroWest region by providing advanced care with a community touch. The 269-bed regional health care system includes Framingham Union Hospital, Leonard Morse Hospital in Natick, The MetroWest Wellness Center as well as other satellite locations throughout the community. Our partnership with Tufts Medical Center allows us to provide Boston-caliber specialty expertise, conveniently close to home. Our hospitals are working together to ensure that all the medical services you and your family need – from the routine to the more complex – are easily available in your community. So instead of enduring the hassle and expense of traveling into Boston for many advanced services, you can access the care you need right here, close to home. Bose maintains an exceptionally strong commitment to research, for it is within the discipline of research that yesterday’s fiction becomes tomorrow’s reality. They strive to identify things which, when made better, improve people’s lives. But it’s more than just research. They aim for excellence in everything they do. From the way they run their business to their customer service. From the products to the owner’s manuals you’ll use to set them up. In everything they do, they truly believe that “good enough” is merely a starting point. They have taken their commitment and their passion for innovation and applied them to developing unique sound solutions to meet virtually any audio challenge in any application, even the space program. While many of their products are designed for entertainment and home audio solutions, you’ll find Bose sound is prevalent in both the aviation and automotive industries, too. At Genzyme they are mindful of their responsibility to all of their stakeholders, including patients, physicians, shareholders, employees and our communities. They are driven, first and always, by their commitment to patients. Genzyme exists to innovate on behalf of people with serious diseases and to meet major unmet medical needs. This commitment includes all patients, regardless of their location or financial circumstances. Genzyme has a strong presence in developing countries, where they work with physicians and governments to build sustainable health care systems and provide free medicine to patients in countries where those systems do not yet exist. 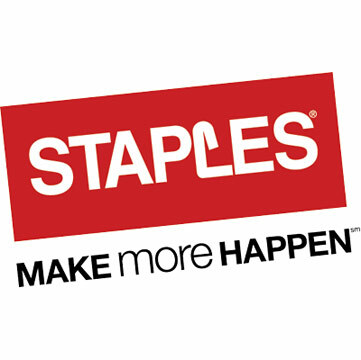 Staples is the world’s largest office products company and a trusted source for office solutions. We provide products, services and expertise in the categories of office supplies, technology, furniture, Copy & Print, and cleaning and breakroom. Staples was founded in 1986, and today has annual sales of $25 billion, ranking second in the world in eCommerce sales. With 90,000 associates worldwide, Staples has a presence in more than 26 countries throughout North and South America, Europe, Asia and Australia — bringing easy to offices and consumers everywhere. Staples is committed to the community – they reach out through large scale initiatives as well as smaller, less formal programs that promote goodwill and build strong community ties. For example, the Staples Foundation for Learning was established in 2002 through corporate funds. Its mission is to support nonprofit organizations that provide educational and job skills programs for all people, with a special emphasis on disadvantaged youth. The Foundation’s board of directors meets three times a year to evaluate each of the Foundation’s nonprofit partners and analyze the use of grant funds awarded, the impact of programs supported and the accomplishments of each partnership. Ken and Florence Hanna opened a small restaurant in Natick on Route 135 across from Lake Cochituate. They called it the Lakeside Cafe. The customers always identified it with its owner and called it Ken's. From these small beginnings a great restaurant was born. In 1941, after five years at the Natick location and one at Sandy Burr Country Club in Wayland, Ken purchased McHale's Diner. Growth of Ken's Steak House, originally known as the 41 Cafe, began almost immediately with the addition of the Fireplace Room in 194. In 1945, right after World War II, Ken added a room behind the fireplace and enlarged the diner to 80 seats, now known as The Lamp Post Room. The Hickory Room with 100 seats was added in 1957 and the lounge renovated. In 1959, Cafe V opened..
Over the years, many of Ken and Florence's children and grandchildren have worked at Ken's Steak House. At present, the family tradition of providing superb food and excellent service is orchestrated by Ken's son Timothy and his wife Darlene. Famous entertainers, prominent athletes, political and business leaders have enjoyed Ken's Steak House throughout the years. The goal of Ken and Florence Hanna was to treat all their customers as celebrities. The prime and choice cuts of beef and the fresh seafood found at Ken's have set a standard of quality that is unparalleled. Ken's Steak House has served the MetroWest area for over 68 years, and shall continue be here to serve you through the next millennium. Just 18 miles outside of Boston and centrally located within the technology belt, Sheraton Framingham Hotel & Conference Center ideally accommodates business and leisure travelers. Greeted by signature castle-style architecture, guests of the hotel enjoy comfortable elements and contemporary features such as enhanced, spacious guestrooms, soothing public spaces, an impressive grand ballroom and an extensive fitness center. The open style kitchen of Postern Grille invites guests to enjoy Northeastern-inspired fare while the hotel is the area’s only full service hotel with a conference center approved by the International Association of Conference Centers (IACC). Sheraton Framingham Hotel & Conference Center offers inviting style in a fresh environment. For more than 45 years, Harvard Pilgrim has built a reputation for exceptional clinical quality, preventative care, disease management and member satisfaction and has consistently rated among the top plans in the country. Harvard Pilgrim is a not-for-profit health services company serving members throughout Connecticut, Maine, Massachusetts and New Hampshire. Their mission is to improve the quality and value of health care for people and communities they serve. Harvard Pilgrim's provider network is extensive and includes physicians who practice in a wide variety of ssettings including individual practices, small medical groups, and large multi-specialty groups. Harvard Pilgrim has a growing network of over 179 hospitals and 53,000 doctors and clinicians. Harvard Pilgrim is consistently among the nation's highest rated health plans. Avidia Bank was formed in 2007 by a merger between Hudson Savings Bank and Westborough Bank. Both founded in 1869. Avidia Bank is now a $1.5 Billion mutual community bank headquartered in Hudson, MA. We have branches in Hudson, Westborough, Clinton, Marlborough, Northborough, Shrewsbury, Leominster and Framingham. We are also very passionate about our communities and we help out area organizations through the Avidia Charitable Foundation as well as through the Bank itself. 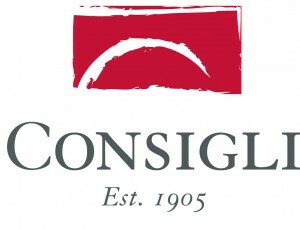 Founded in 1905, Consigli Construction Co., Inc. (Consigli) is a fourth-generation, full-service construction manager and general contractor, with offices in Massachusetts, New York, Maine and Connecticut, serving clients throughout New England and New York. When Anthony Consigli, and his brother Matthew Consigli, took on the leadership of the small Massachusetts construction firm founded by their great-grandfather, they grew the company from fewer than 20 employees to more than 600 today. Consigli’s project work has expanded to include new construction and landmark restoration for corporate, academic, healthcare, institutional, life sciences and federal clients throughout the region, with a dollar volume of $650 million per year. This year, the Boston Business Journal (BBJ) named Consigli the second largest general contractor in the Commonwealth of Massachusetts. In the MetroWest area alone, Consigli’s work includes many renovations and new building projects at Framingham State University, most recently the new North Hall and Christa Corrigan McAuliffe Center, as well as multiple renovation projects for the MetroWest Medical Center in Framingham. Other local work includes the MetroWest YMCA’s Summer Day Camp Lodge in Hopkinton and several projects for St. Mark’s School in Southborough. Combining old-world craftsmanship with the technological resources and innovative methods of a leading construction manager, Consigli’s professional project management teams are backed by highly skilled self-perform crews and craftsmen who understand the details of every method and material. Consigli’s ability to self-perform specialized work in the field enables the company to exert more control over the job sites, which means more control over the budget, safety, and schedule. By combining expert construction management with genuine builders, particularly in complex restoration projects, Consigli stands as unique in the building industry. Another company distinction is the consistent involvement of Anthony and Matthew in every aspect of the business. Their hands-on approach keeps the decision-making process more nimble, more responsive and efficient, giving the feel of a smaller company, while offering all the resources and technologies of a larger, multi-national company. The result is a better experience for clients. The company mission, “Consigli will be the most desired contractor to work with and for”, embodies values that emphasize world-class treatment of both clients and employees. As a result of this focus, Consigli received the Massachusetts and Central Massachusetts Family Business Awards in 2009 and has been ranked as one of the “Best Places to Work” in the Commonwealth for eight years running. Distinctive Hospitality Group (DHG) is a privately held, integrated hotel ownership and management company, founded in 2010 and backed by a group of seasoned hospitality professionals. DHG's focus is to build long-term asset value in the hospitality sector to ownership, while at the same time providing hotel guests and restaurant diners with the utmost in experience, service, style and atmosphere. DHG properties in MetroWest include The VERVE - Crowne Plaza Hotel and Hampton Inn Boston-Natick. Middlesex Savings Bank was founded as Middlesex Institution for Savings in 1835 in the Town of Concord. It was a time when banking focused more on businesses than on consumers. Their founders, not uncommon for residents of Concord at the time, in an act of true community spirit, set out to create a bank where people of modest means, who had no other alternatives, could have a safe place to save. Over 180 years later they remain dedicated to serving local Massachusetts customers and the local business community. As they have grown over the years, so has their commitment to the communities where their customers live and work. Whether through community sponsorships and grants, new community branches or increasing their mobile and electronic banking technology, they remain true to their tradition of personal, one-to-one service and their commitment to remain independent. Why? It’s their mutual status that lets them put their customers needs first – always. Middlesex Savings Bank is financially strong with over $4 billion dollars in assets and takes pride in being recognized for more than 10 years running as one of the state's most charitable organizations. Middlesex has Community Branches and Commercial Banking offices in a wide range of Eastern Massachusetts communities, including the MetroWest Communities of Ashland, Bellingham, Framingham, Holliston, Hopkinton, Medfield, Medway, Millis, Natick, Southborough, Sudbury, and Wayland. The law firm of Mirick O'Connell has never wavered from the core principles of professional excellence established by their founders in 1916. Excellence in their work. Excellence in client service. Excellence in value. Mirick O'Connell counsels New England’s leading corporations — private and public — and individuals across a wide range of industries. Their firm is highly regarded for its work in such diverse fields as banking and finance, energy, health care, higher education, insurance, life sciences, manufacturing and technology. The firm is home to more than 60 lawyers and professionals, with offices in Worcester, Westborough and Boston. Their attorneys combine uncompromising standards of service with practical and cost-effective approaches to problem solving. Mirick O’Connell has the expertise to handle the most sophisticated and complex matters, while never losing sight of their first priority — the client. With 36 years of experience promoting healthy hydration, Nestlé Waters North America has 15 leading U.S. and Canadian bottled water brands. The company’s commitment to environmental stewardship, especially in the areas of water use, packaging and energy, as well as its dedication to partnering in the communities where it operates, have led Nestlé Waters to achieve the number one bottled drinking water position in the U.S. Nestlé Waters has 7,500 employees and 29 bottled water facilities across the U.S. and Canada, and annual revenues were $4.0 billion in 2012, up 6.8% from 2011. Poland Spring® Brand 100% Natural Spring Water is part of Nestlé Waters North America, which began in 1976 as a company that imported the famous French sparkling water, Perrier® Sparkling Natural Mineral Water. The company developed at a time when Americans were looking to get in shape, eat better and generally adopt a healthier lifestyle. By the early 80s, Nestlé Waters North America was adding high quality domestic waters to its product line, such as Poland Spring® Brand 100% Natural Spring Water, which joined the company in 1987. Today, Nestlé Waters North America Inc. is the largest bottled water company in the United States, offering many of the nation's most popular regional brands. The TJX Companies, Inc. is the leading off-price retailer of apparel and home fashions in the U.S. and worldwide, ranking No. 115 in the most recent Fortune 500 listings. With nearly $26 billion in revenues in 2012, more than 3,000 stores in six countries and approximately 179,000 Associates, we see ourselves as a global, off-price value retailer. TJX operates four major divisions: The Marmaxx Group (T.J. Maxx and Marshalls) and HomeGoods in the U.S.; TJX Canada (Winners, HomeSense and Marshalls); and TJX Europe (T.K. Maxx and HomeSense). In December 2012, TJX acquired Sierra Trading Post, an off-price Internet retailer. Our off-price mission is to deliver a rapidly changing assortment of fashionable, quality, brand name and designer merchandise at prices generally 20%-60% below department and specialty store regular prices, every day. With our value proposition and exciting treasure-hunt shopping experience, we believe that our demographic reach is among the widest in retail as we attract a broad range of fashion and value conscious customers across many income levels and other demographic groups. They are the region's definitive source for business news. Every two weeks, they deliver news and opinion in print for the Central Massachusetts business community. Every day they deliver the news business leaders need through their website, WBJournal.com and their email newsletter, The Daily Report. Smart, informed, engaging, irreverent — that's why more and more readers are turning to Worcester Business Journal to find out what makes the region's business scene tick. At Worcester Business Journal, the're ALL business all the time — in print, online and in person. MetroWest495 Biz is the news source, both electronically and in print, for C-level executives in the vibrant I-495 corridor. Their mission is to connect business owners and executives in the I-495 corridor to the market intelligence they need.